A wildling spearwife—a warrior woman—Ygritte is said to be “kissed by fire” by her fellow wildlings, thanks to her shaggy mop of red hair, which is considered lucky. About 20 years old, Ygritte is common in appearance, with a pug nose, crooked teeth, a round peasant’s face. 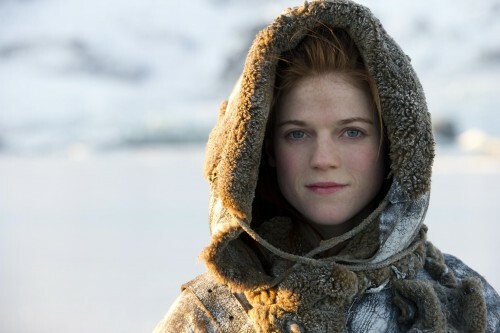 On the show, Ygritte is portrayed by Rose Leslie who, all in all, is rather prettier than the character as described in the novel.